4533 SW 13th Ave, Cape Coral, FL.| MLS# 219003604 | Southwest Florida Residential Real Estate for Sale. HUGE PRICE REDUCTION*You will LOVE this charming GULF ACCESS duplex with SPECTACULAR water views!! This 3 bedroom/3 bath NEWLY REMODELED duplex is MOVE IN READY and even offers a side load garage and FENCED YARD! This Spectacular property has all the bells and whistles and offers Quick Access to the River and Gulf! As you enter the Lovely 2 Bedroom/2 Bath unit, it offers a screened entry and a very open floor plan offering 1, 296SF of generous space to move about. The large open kitchen has white raised panel cabinetry with solid surface counter tops and a split kitchen sink. Split floor plan with vaulted ceilings, large bedrooms and lots of closet space. The master suite has private access to your POOL, a large walk in closet and inviting NEW walk in shower and NEW bathroom vanity. UPGRADES include a NEW A/C, NEW CAT 5 HURRICANE SLIDERS/WINDOWS and BRAND NEW ROOF. The lovely 1 Bedroom/1 Bath unit offers 896SF and has NEW Carpet/Planked TILE, FRESHLY painted and BRAND NEW APPLIANCES. Upgrades include NEW Bathroom with dual sinks and NEW walk in shower. 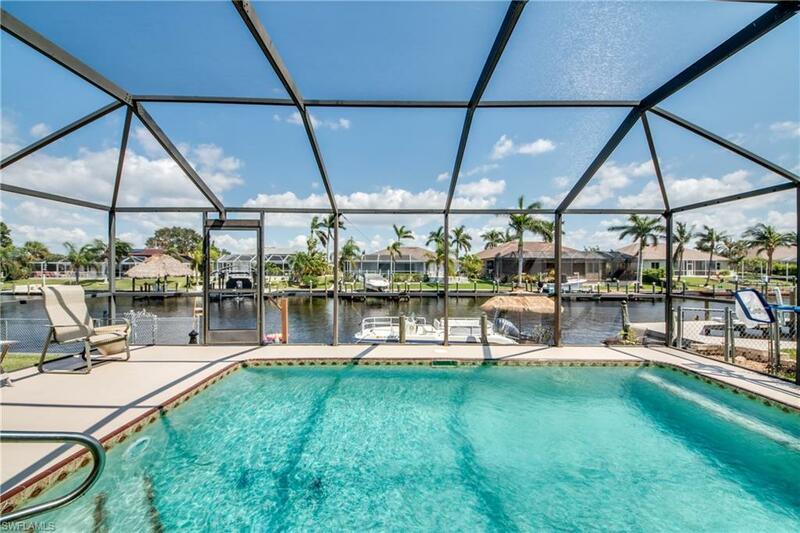 Enjoy a dip in your Heated Pool or Fish from your dock and watch the wildlife! New fruit trees of lemon, starfruit and banana!